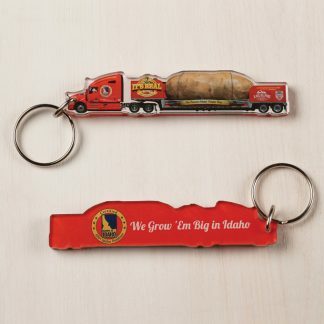 We presented Sister Alice Marie with a replica Big Idaho Potato Truck for her birthday! Boy was it good to be back on our “home” coast! After spending the better part of the two and a half months on the tour on the east coast, it was good to see the western states on this beautiful country. Our events had us in Los Angeles, Las Vegas and Salt Lake City! 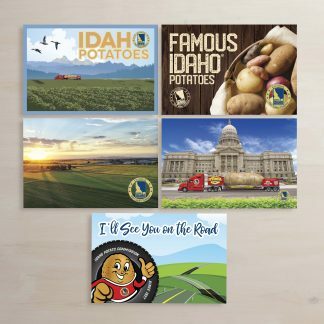 Three very different cities but they had one thing in common, a LOVE for the Big Idaho Potato. In Los Angeles, my mom flew down and met us there, it wasn’t to hard to convince her to leave the gloom of Seattle for the sunshine that Southern California had to offer. She accompanied us on our event with St. Vincent Meals on Wheels where we met a lady who none of us will soon forget. Sister Alice Marie who has ran the Meals of Wheels chapter there for just under 40 years treated was an amazing women! They serve over 4,700 meals A DAY! Their reach now stretches across Southern California because Sister Alice does not turn anyone away. 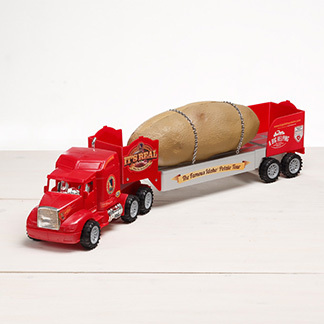 She was also celebrating her birthday so we were able to present her with a replica of our potato truck which is now proudly displayed in his office (she told us that when she was young she played with trucks instead of dolls). The truck was a perfect birthday gift and to extend our thanks of everything that they do to help the community of Los Angeles and our partnership with Meals on Wheels! After that we were off to Vegas and Sister Alice told us she would be thinking of us often, and we told her not to worry! As soon as we pulled onto Las Vegas Blvd, it was a reaction we had never seen before on this tour. 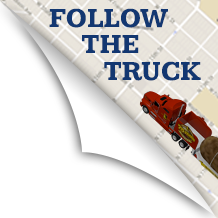 People see some weird things in Vegas, but our Big Idaho Potato still stopped them in their tracks. I am not sure the potato appreciated the 110 degree weather that was brought on us, but I sure did! After seeing my mom in California, it was great that the majority Kristie’s family was able to come down and spend time with her in Salt Lake City (a relatively short drive from her home town of Pocatello). She has seven nieces and nephews there and they LOVED being able to go inside the potato and touch it. Her nephew Hiram is undoubtedly our biggest fan! His four year old enthusiasm really brought it home when saying the potato makes people as happy as a kid in a candy store! Unfortunately, this West Coast swing is the last on our schedule and we won’t be back until we return home to Boise in November, but you never know where you may see us!